SiteGround - Is it all its cracked up to be? 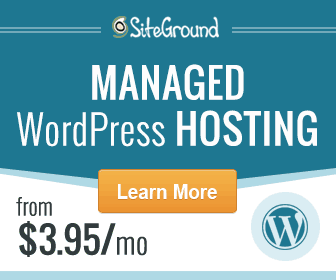 Yes, I won't lie, I'm a huge fan of SiteGround and their hosting. A while back I helped move a client from a certain hosting company to SiteGround. The difference in everything was instant and the client could not believe the page loading speed increase amongst other things. Speed and customer support are 2 things they are well known for and in my experience, they deliver on both. Based in Bulgaria but offering markets all over the world, Siteground was founded in 2004. They promote different types of hosting such as dedicated, cloud, and VPS plans in addition to shared and WordPress hosting. How much does SiteGround cost? Yes, there is a 30 day money back guarantee. If you cancel your plan within the first 30 days then you receive a full refund. Please note this does not include cloud or dedicated hosting with some restrictions on reseller plans. What payment services are accepted? SiteGround offer payment by VISA and MasterCard. You have the option to sign up for a 1, 2 or 3-year plan. There is also a (paid for) trial period of 1 month if you want to test it out before signing a longer contract. What control panel does SiteGround offer? All plans come with cPanel. There are no extra fees for cPanel on any plan. This is one of the best features. SiteGround guarantee 99.9% uptime, averaged over a 12-month timeframe. If it fails to provide that, you will get an account credit. Do SiteGround offer free site migration? Yes, another excellent feature. SiteGround will migrate one existing website free of charge, without downtime. This also includes a WordPress website. There are also step-by-step tutorials in the help center. Customer support is always available if you are stuck on anything. What are the pros and cons of using SiteGround? SiteGround are consistently one of the top rated hosting companies out there and in our experience, it's justified. The customer support alone is well worth the fees and their live chat support is always available within seconds. If you fancy browsing the support manuals instead, these are also very informative and easy to navigate. Uptime is consistent and speed is never an issue. Automatic daily backups are a great feature as well as Cloudflare integration. The importance of free SSL certs also cannot be overlooked. If I'm being honest, I have had hardly any issues with SiteGround. If I had to pick something, I think the renewal fees are a little on the high side. On saying that, all fees are very transparent when you sign up. Its worth noting that as a new user you are offered 50% off when you sign up for the shared hosting. Renewals are discounted at 10% for 1 year, 20% for 2 years and 30% off a 3-year plan. My only mistake was that when I signed up I went for a 1-year plan instead of grasping the excellent discount and going for a 3-year plan. No windows hosting may be an issue for some people. Visit SiteGround and see for yourself!